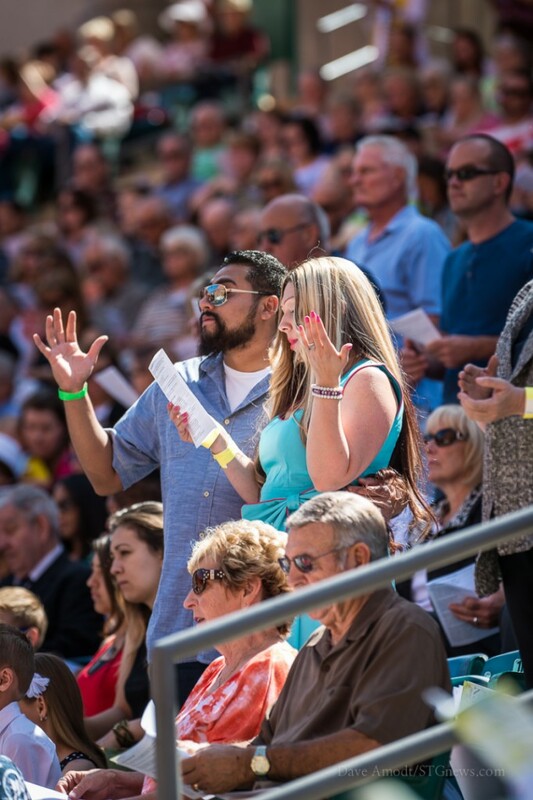 IVINS — Crowds at the yearly Calvary Chapel Easter Sunday services filled half the stadium at Tuacahn Amphitheatre during two separate sessions Sunday morning. 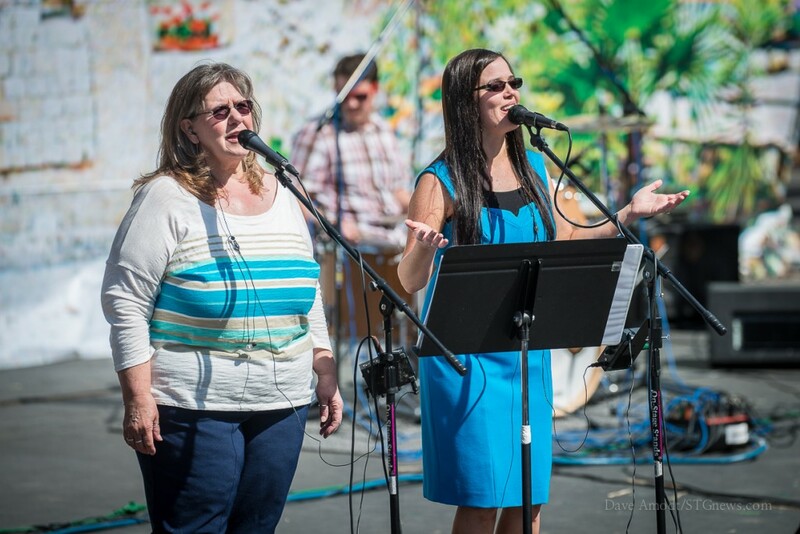 Live worship music echoed through the outdoor stadium while white fluffy clouds hung in the clear blue skies above. 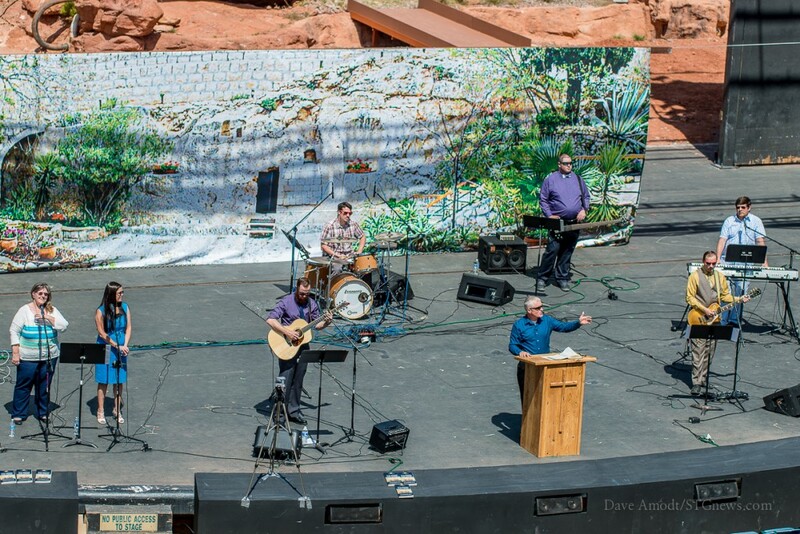 With a backdrop depicting the empty tomb site in Jerusalem, Senior Pastor Rick Nerud gave a sermon with a resurrection theme. Nerud cited Bible scriptures about the resurrection of Jesus. 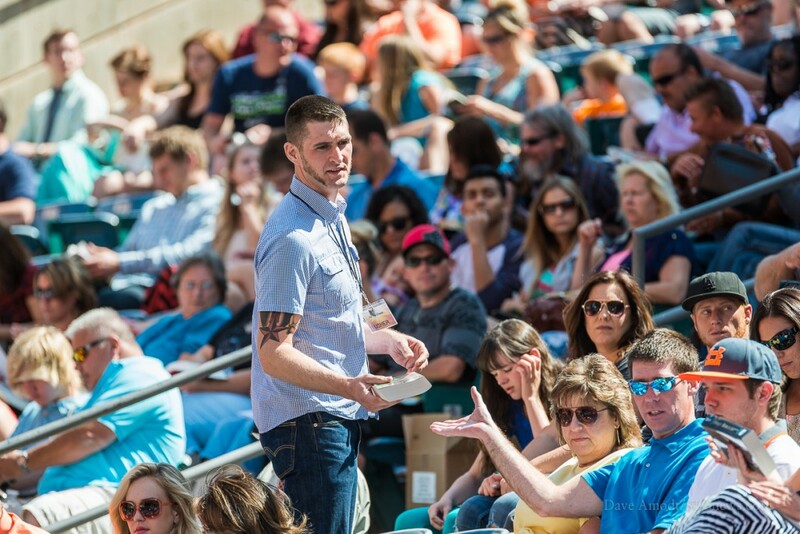 He then asked the congregants to consider Jesus’ purpose for coming to earth. Nerud also said that he has visited the Jersulem site and that the tomb is empty because Jesus rose from the grave. Nerud spoke of Calvary Chapel. He mentioned that all people are welcome and the church does not have membership. Then he expressed the importance of religion, noting that religion does not add to what is necessary in order to have eternal life with God. Nerud, who served in the military, also spoke of loving his country: Every soldier that serves knows that he or she could die for their country, he said. He then compared that to the ultimate love that Jesus has for us, a love that Jesus has proved by dying for us. At the end of the service, Pastor Nerud invited those who had decided to accept Jesus as their Savior to come down to the front and be prayed for and loved on. Several people, including children, came forward. Ed. CORRECTION: Nerud said that religion does not add to what is necessary in order to have eternal life with God; the “not” was inadvertently omitted on first publication. 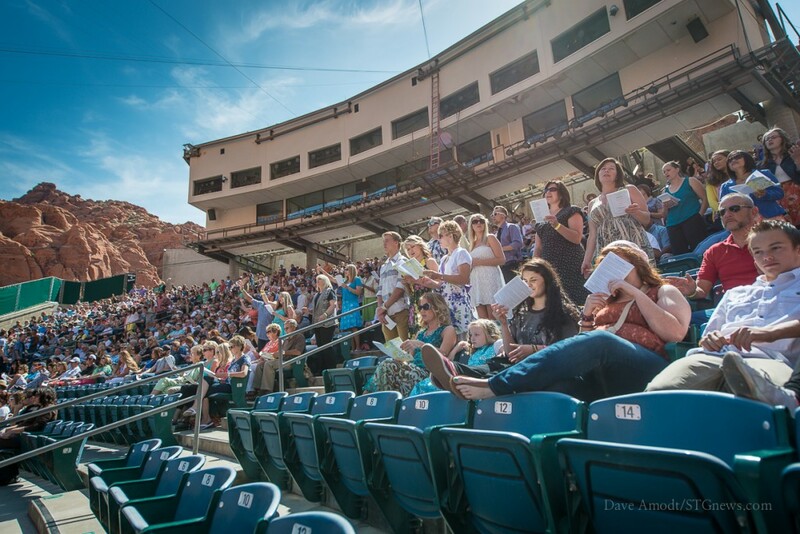 Dave Amodt grew up in St. George, Utah, loving anything to do with the outdoors. By day, you'll find him out repairing air conditioners and furnaces and in his free time, he loves photography, mountain biking, hiking, ATV-ing, astronomy, and rappelling. He loves meeting new people and getting to know about them and their stories. He's having fun working with St George News.com. 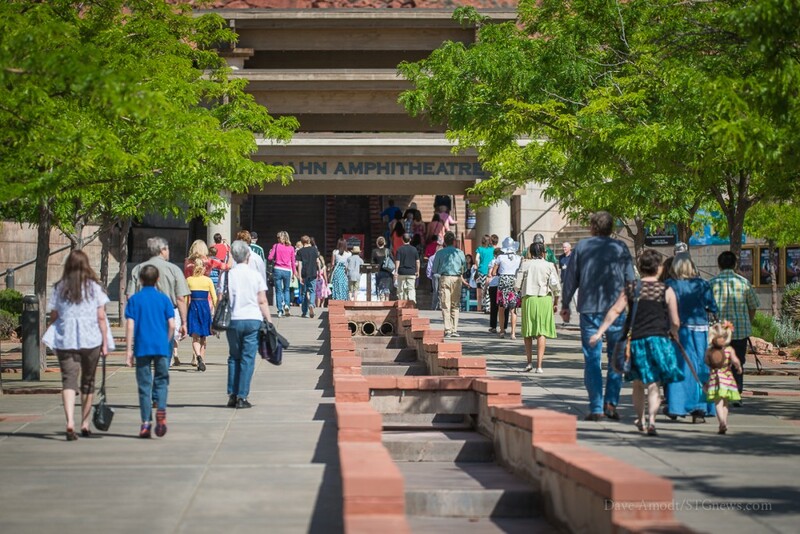 I did not attend the service at Tuacahn today. However, I have to doubt that Pastor Rick would mention the importance of Religion or the need of religion in ones life. 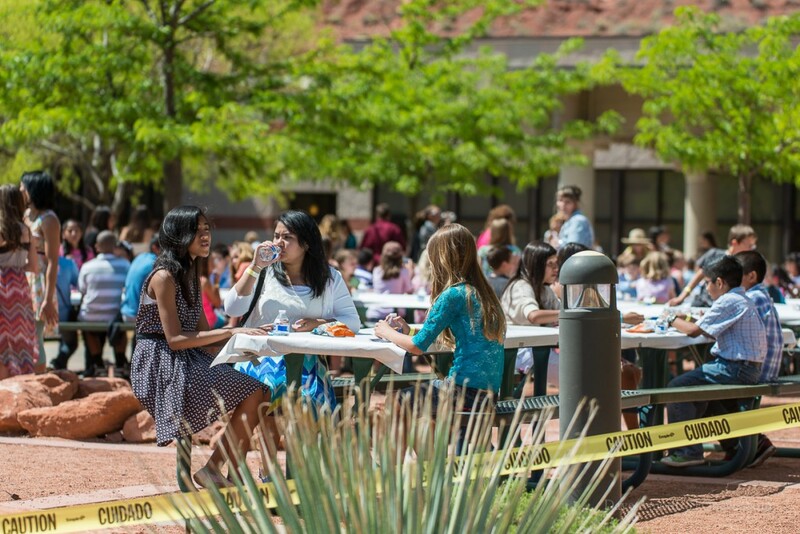 As Calvary Chapel is not a religion, they do not focus on rules of man(religion). 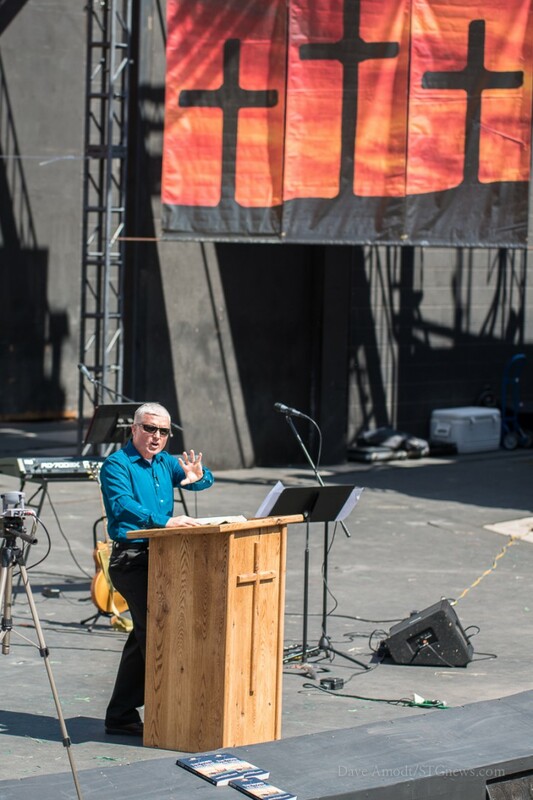 Calvary Chapel focuses only on the Bible and helping to lead individuals to a relationship with Christ, through His word. Thank you Heather, there was an error and it has been corrected.